Guitar virtuoso Marty Friedman relies on the best of everything to deliver his unique one-of-a-kind guitar mastery and signature tone. EMG had been part of that foundation for the former Megadeth guitarist for years. EMG President and Founder Rob Turner raised the bar to developing a brand new passive signature set for Marty that delivered all of the dynamic response, power, punch and clarity EMG pickups are known for. The EMG-MF signature pickups incorporate Alnico 5 magnets and a unique winding process for the custom made bobbins resulting in the exacting tone, clarity and detail that is pure Marty. 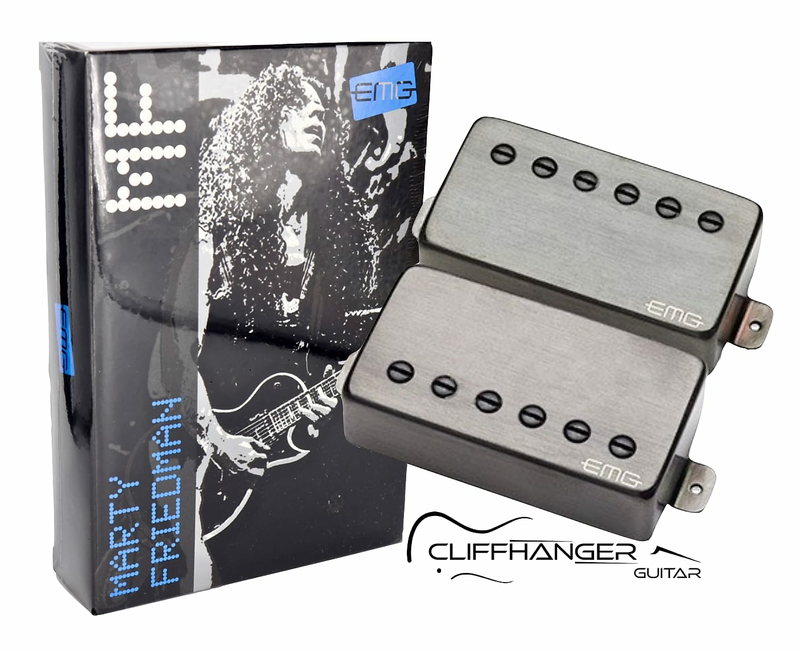 Available in brushed black chrome, the EMG-MF signature pickups look as deadly as they sound. “When I heard this pickup, I knew it was "the one" because it made me want to keep playing and never stop. This is my sound. I’m glad EMG took the time to get it right". EMG MF Signature Set (Brushed Black Chrome) includes the following solder-less installation kit.